Mrs. Annie Ruth Cooley Clanton, 93, of Waynesboro, MS passed from this life Monday, September 10, 2018 at Wayne General Hospital. She was born in Sunflower County, MS on Thursday, November 20, 1924 to D. P. Cooley and Myrtle Cooley. She was a member of Waynesboro First Baptist Church. She retired from Buckatunna High School after serving as Home Economics Teacher for 25 years. 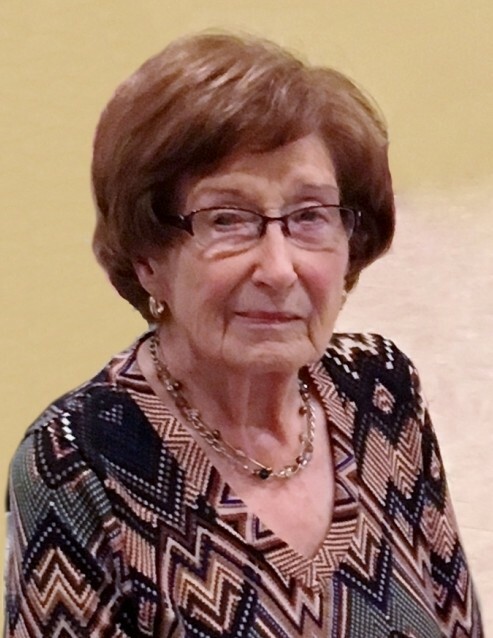 She was a charter member of The Present Day Club of Waynesboro where she served for 71 years; she was also a member of the Waynesboro Bridge Clubs. Mrs. Annie Ruth is preceded in death by her husband, T. J. Clanton, Jr.; father, D. P. Cooley; mother, Myrtle Cooley; and brother-in-law, Bill Wells. She is survived by her son, John Clanton (Cindy), Waynesboro, MS; daughter, Donna Clanton, Waynesboro, MS; sister, Joyce Wells, The Woodlands, TX; 4 grandchildren, Shea Clanton, Nashville, TN, Cade Clanton, Jackson, MS, Shannon Freeman (B. J. ), Waynesboro, MS, Matt Davis (Kalyn), Waynesboro, MS; 3 great grandchildren, Reece Davis, Westin Davis, and Ralyn Davis, all of Waynesboro, MS; other Relatives and Friends. Visitation for Mrs. Annie Ruth will be held from 9:00 AM to 11:00 AM, Wednesday, September 12, 2018 at Freeman Funeral Home, 1305 Skyland Drive, Waynesboro, MS. Funeral Services will follow at 11:00 AM Wednesday, September 12, 2018 at Freeman Funeral Home with Dr. Steve Smith officiating. Interment will be in Waynesboro Cemetery.